- Upon completion, you must submit the Certificate of Completion and a certified copy of your current driving record (obtainable from the Department of Public Safety [DPS]) by the court deadline. But even good drivers can benefit from a driver safety course. Whether you're a teen driver looking to increase your knowledge, a foreign or out-of-state driver who needs to learn local laws, or an experienced driver over the age of 50 looking to lower your insurance rates, taking an online driver education course is a good option. 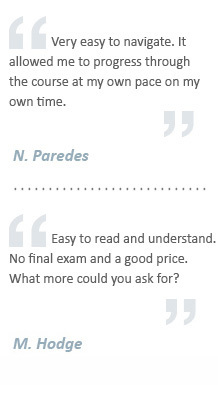 It's easy to see the benefits of taking an online Texas defensive driving course. - Get Up to Speed on Current Laws: Traffic laws and driving styles change regularly. A driver safety course is a great way to stay informed, break bad driving habits, or find out what's at risk if you're breaking the law. You'll be come a safer, smarter driver. - Lower Insurance Premiums: Insurance companies love it when you take steps to become a safer driver, and in Texas, that could mean a savings of up to 10%! Online driver education courses are especially helpful for drivers over the age of 50 who have a clean driving record but want to save money on their premiums. Insurance discounts can last up to three years! - Prevent Loss of License: While a single ticket could put a dark mark on your record and raise your insurance premiums, too many tickets in a short amount of time could result in losing your driver license in the state of Texas. 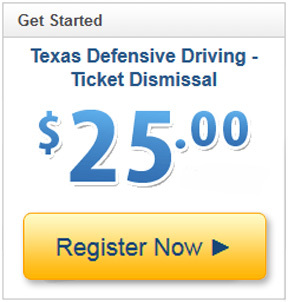 Keep your driving record clean by taking an online driver safety class and dismissing a ticket. With unlimited log ins, entertaining and engaging lessons, and 24/7 Customer Support, you'll get through your traffic school in no time. Become a smarter, safer driver even faster when you study, learn and pass your online defensive driving class on your own terms.